A view of the Fourth & construction site. The development will offer smaller, more affordable homes in East Austin. A development going up in East Austin could provide a more affordable option for home ownership. The Fourth & condos feature what are called micro-units, efficiency apartments that span just a few hundred square feet. 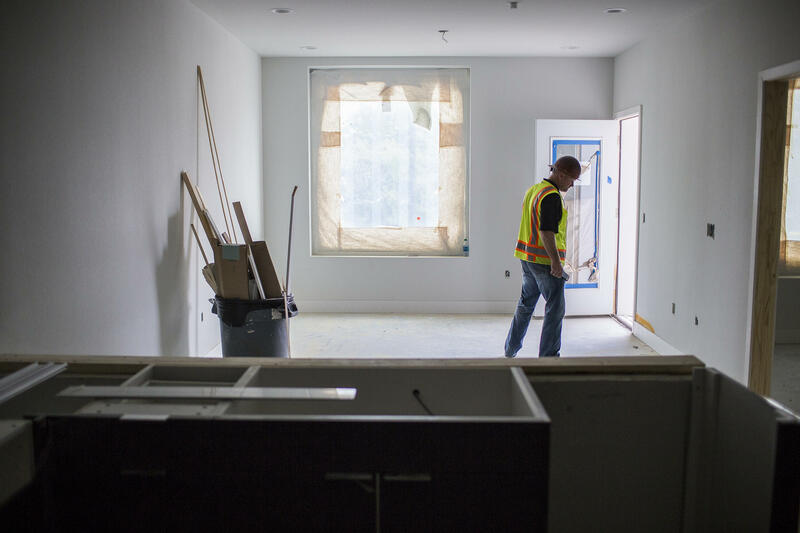 “It is laid out to where you have a living space, you have a bookshelf that will separate your living and sleeping space, and then you’ve got enough room for a queen-sized bed,” says Scott Sproat with Austin-based Capsa Ventures, the firm behind the project. The three-story, 97-apartment development is being built at Fourth and Chicon streets. Along with the micro-unit apartments, which are about 500 square feet, there are larger, one- and two-bedroom condos. About half the units have been reserved so far. The goal, Sproat says, is to offer a diversity of housing choices near the city center where it’s getting more expensive to build. Roger Frakes in the kitchen/living room of a model unit at Fourth &. Fourth & doesn’t include any income-restricted affordable units – homes reserved only for tenants who make below a certain amount of money. The current price for a condo at the development ranges from about $250,000 to just under $600,000. 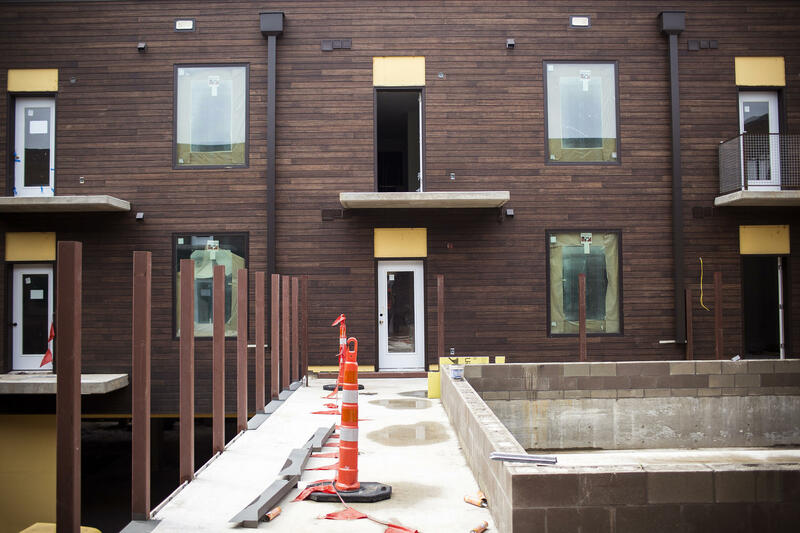 But the project’s efficient building practices are informing affordable housing developers in Austin. Greg Anderson, the director of operations for Austin Habitat for Humanity, says the group is considering building its own micro-units. The nonprofit builds homes for low-income families that are designed for long-term affordability. Anderson and other Habitat staff recently toured the Fourth & site, getting a look at construction practices. The building is made with recycled steel and concrete, and it includes several energy-efficient features. Anderson is referring to traditional wood-framed homes, which he says don’t age as well as steel-framed buildings. Ultimately, he says, if we want to improve affordability in neighborhoods with good schools and expensive homes, Austin may start seeing more of these smaller units. The Fourth & project is set to be completed near the end of next month. 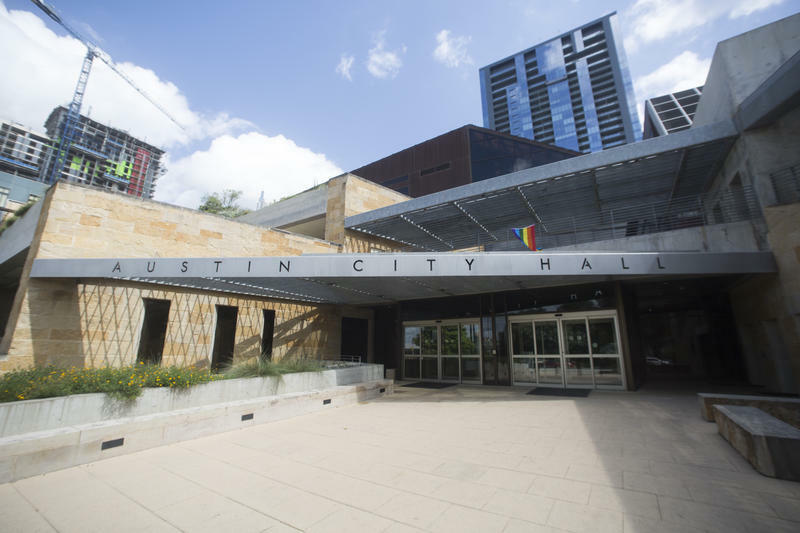 Austin City Council members will decide Thursday whether to revisit an affordable housing deal approved by vote in December. But just how they might go about reconsidering it is complicated. The deal – called Pilot Knob – would move anywhere from $50 to $80 million dollars normally slotted for Austin Water’s coffers and put it into the city’s affordable housing trust fund. That financial information though, many council members have said, was not available to them at that December vote.